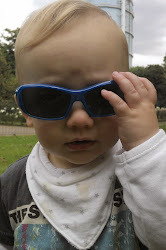 Musings of a Short Wife....: Cool baby? I think i might be having a cool baby. At least that's what I hope. After being reasonably quiet this morning, baby started it's wriggling as soon as I put on Muse 'Butterflies and Hurricanes'. Really going for it too! So i tried an experiment and put the track on 3 times... it wriggled and kicked in exactly the same place each time. Hoorah! I had a similar response to Nirvana 'Smells like teen spirit' and then it went really quiet with Will Young.